Subject: LongIsland.com - Your Name sent you Event details of "Midsummer Night Conversations on Creativity with Questlove and Special Guest Neil DeGrasse Tyson"
Questlove will be in conversation with to-be-announced special guests about their creative process, their next challenges, and the intersection of art and commerce in their lives. In his new New York Times best-selling book Creative Quest (Ecco, 2018), Questlove shares his wisdom on the topics of inspiration, philosophy, and originality in how to consider creativity and where to find it. Creative Quest is a wide-ranging conversation around the eternal mystery of creativity. 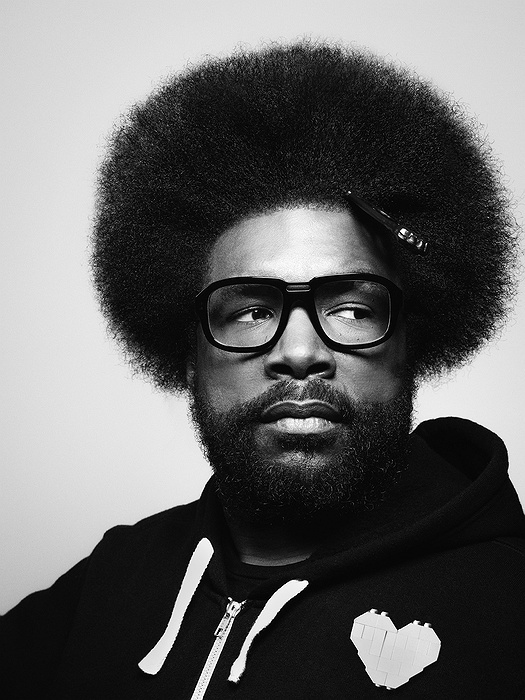 Drummer, DJ, producer, culinary entrepreneur, author, and member of The Roots – Questlove is the unmistakable heartbeat of Philadelphia’s most influential hip-hop group. He is the Musical Director for The Tonight Show Starring Jimmy Fallon, where his beloved Roots crew serves as house band. A 5-time GRAMMY Award winning musician, his indisputable reputation has landed him musical directing positions with everyone from D’Angelo to Eminem to Jay-Z. Questlove is the author of the Mo’ Meta Blues, and Creative Quest, Soul Train: The Music, Dance and Style of a Generation, and James Beard Award nominated Something to Food About, which also won an AIGA “50 Best Books” design award. He co-produced the Original Broadway Cast Recording of Hamilton, and currently serves as the Executive Music Producer and Composer on the A&E Mini Series “Roots”.